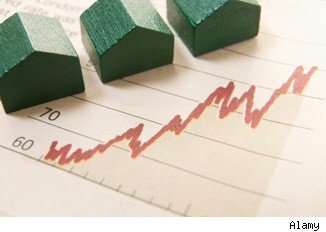 Home prices grew from the previous rolling quarter and year-over-year in May, making it the first time in two years that both indicators have risen in the same period, asset valuation firm Clear Capital said. The firm published its home data index market report, showing that the West, South and Northeast saw both quarterly and yearly price gains. Truckee, Calif.-based Clear Capital uses rolling quarters to study home prices. It compares the most recent four months to the previous three months to give users a more timely look at market prices.